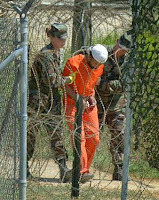 Last year, I made a post simply entitled “Guantanamo.” You can read that article by clicking HERE. There were a couple of replies that defied logic or explanation. It appears that common sense is lost on some people. The Muslim fanatics at Guantanamo and elsewhere are not interested in negotiating. They have no interest in your welfare. They are interested in one thing; killing you in any way they can. Why then should we allow these animals the same rights as every law abiding American citizen? They are war criminals and should be tried as such. Instead, The Anointed One will soon close down Guantanamo which will effectively put the protection of the Bill of Rights over people who have killed Americans at war, at the World Trade Center and decapitated innocent civilians, both Iraqi and western, in Iraq. Now, it appears that at least 61 ex-Guantanamo detainees (article link) have returned to their goal of world-wide terrorism according to the Pentagon. At least 18 have been verified as returning to fight in either Iraq, Afghanistan or elsewhere in the world. Another 43 are suspected of returning to Jihad the hell out of the world. Those figures aren't good enough for some. I have a healthy dose of skepticism whenever the government tells me this or that. I've been disillusioned about the government since Vietnam. But, the Pentagon has really nothing to gain by inflating these numbers. Obama is going to take our troops out of Iraq (and eventually Afghanistan) regardless of what is said here. He is going to close down Guantanamo. In fact, his campaign pledge was to shut it down in the first 100 days of his administration (although he has hedged a bit on that in recent days...big surprise there). The Pentagon has nothing to gain by inflating the recidivism rate. That is not stopping The Human Rights Watch from spouting “...need to be viewed with a healthy degree of skepticism.” Funny...if you read the article, they are wanting “details” to prove these “victims” at Guantanamo are innocent, flower picking citizens of the world. Yet, they offer no “details” by stating “Rights advocates contend that many Guantanamo detainees have never taken up arms against the United States...” Well, how in God's green earth would they know this? Did they go to Guantanamo and ask them? And they took their word they have never taken up arms against the USA? Asinine! 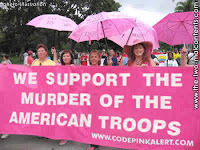 And I thought “Code Pink” was as disgusting and ridiculous as it gets. They have competition now. It's bad enough we have to fight an enemy who is hell bent on annihilating us at every opportunity. Their goal is simple; kill every non-believer of Islam. But, these purported “rights group” still worry about their rights and whether they are being tortured. My question to those that support these scum; will you still feel this way when the Muslim fanatics take your children or spouse to be decapitated? Somehow, I get the feeling you may have a different point of view if that were to happen due to one of those Guantanamo ex-detainees. I agree with you. These are no ordinary criminals. They are willing to take their own lives for the satisfaction of jeopardizing others. We can give a second chance to other criminals, but not them. I just now see this group protesters' slogan. That's an abomination to our men and women in service. I can't fathom that kind of mentality of protecting the Guantanamo prisoners who are trying to kill Americans but support the death of American soldiers who are trying to protect Americans' lives. That really boggles the mind. These people need to go live in Iran or something to taste a dose of the people they're defending. My blood is boiling just seeing that banner. I don't believe, from what I've researched, that that photo is real...I think it's doctored. However, given their stance, their sign may as well say this. I am hoping, truly hoping, that closing Guantanamo does not mean releasing the animals that decapitated people and planned massive acts of murder. Josh, I'm glad to see someone can see these are NOT ordinary criminals. They are vermin and, unfortunately, the only way you can rid the world of this vermin is to exterminate them...all of them. 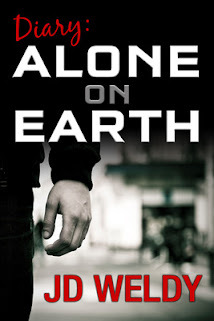 Tasha, I think Kristine is probably right in that the banner I got from the google site is photo shopped. But, their message, as Kristine indicated, is the same. Kristine, I think you are correct in that the sign is doctored. I didn't even think of that when I saw it in google images. I was so enraged by it, I couldn't think straight. I fear we will be seeing these former detainees soon...like in our malls and, God forbid, our schools. Thanks to everyone for commenting on this subject.